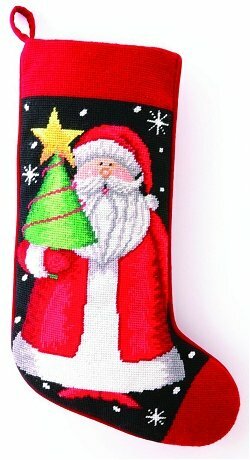 Beautiful Christmas stockings with a Santa theme for young and old alike. 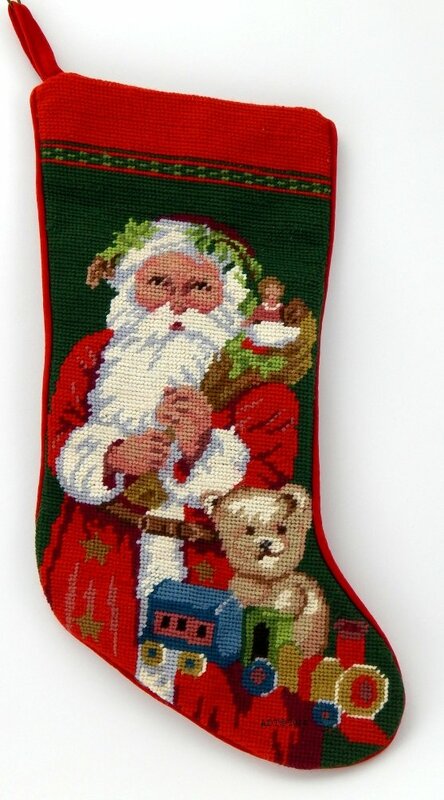 A bright and festive Santa with Teddy and toys around him. 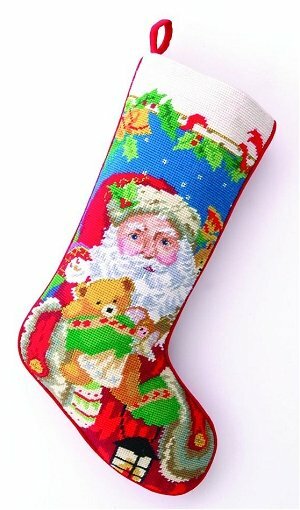 Nice shading and detail on this bright and festive stocking. Look at large photo to see how well they rendered Santas face. 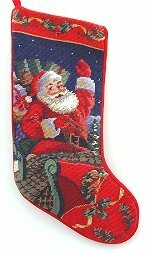 The blue really sets off the other colors. 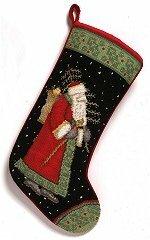 What better place to have Santa and his sleigh than on the stocking he is coming to fill. The strong contrast of the red to the dark blue night sky really pops this image as seen in larger photo. 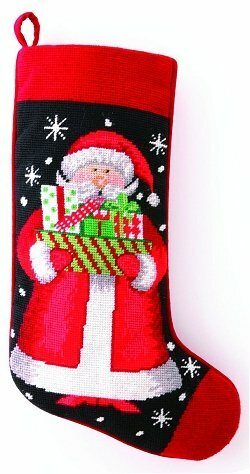 A very striking stocking with a bright contrast between the red santa and the bright green stocking. 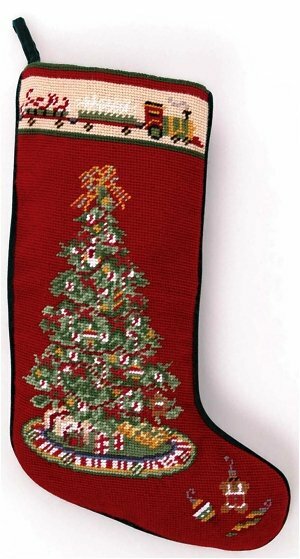 The name will mean more when you view the larger photo and see the small train on the stockings border. 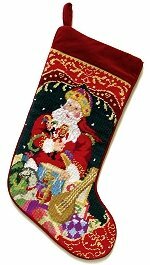 A beautiful rich maroon or a deep wine whichever idea conjurs a better red for you. This is a Debbie Mumm design.